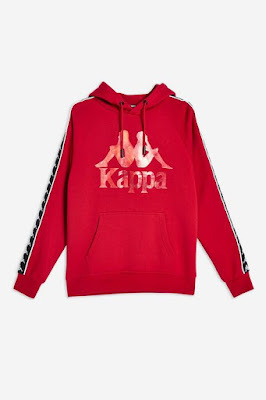 Every day, college girls can be seen making the trek to class in a comfortable pair of leggings and a nice worn-in hoodie. Recently we have seen the blending of high fashion looks and athleisure. 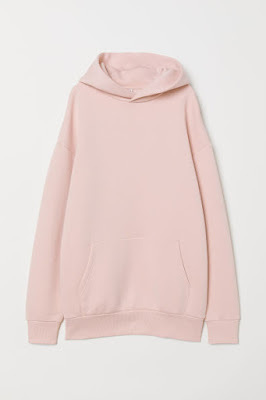 There are several ways to make your favorite hoodies look street style ready while still being comfortable enough to spend a day in the library. While this somewhat professional look may not fly in all work places, a hoodie can create the perfect mix of undone, yet structured. Wear a fitted hoodie and tuck it in for a more polished look or take a risk and style a cropped hoodie with some high waisted suit pants. Finish the look off with a statement belt and some dark sunglasses. 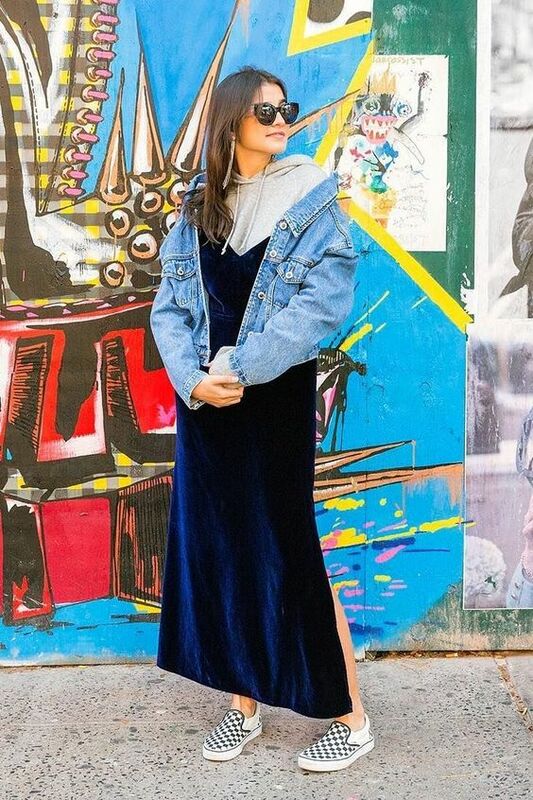 Style an oversized hoodie on top of a slip dress and some heels for an undone going out look or opt for a look similar to the one above and mix several different materials. The mix of denim, velvet and the cotton hoodie creates a perfect, casual look. This casual look allows you to show some leg and still look on trend for the cooler weather. 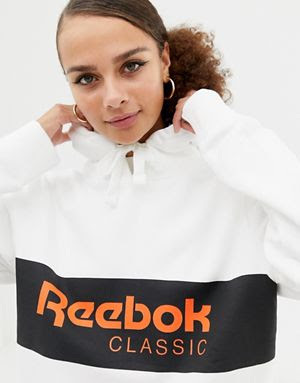 A sweatshirt dress looks amazing with a sleek pair of over-the-knee boots, or you can opt for the cool girl route and pair it with a denim jacket and leather boots. When it is too cold to simply wear a hoodie outside, a statement coat that almost reaches the floor is a nice touch. Trench coats add a sense of glam to your cozy outfit. A monochrome outfit such as the one above would be boring without the pop of color the pink coat brings. In addition, a leopard or snakeskin coat adds flair.